Imagine seeing a village, a town, a hamlet through the eyes of those who live there, while you wander the streets of off -the-main-road villages that are not on the top 10 sites that every tourist visits to take a selfie, but are real and thriving everyday life. Local markets, boutique shops and gourmet restaurants where the locals gather. Have you ever heard of a touring company giving the option to alter the itinerary to suit the needs of the small group? Probably not. But Artistic Gourmet Adventures can do just that because YOU are the most important part of the equation! Artistic Gourmet Adventures provides luxury week-long travel Adventures for groups of up to twelve guests in beautiful locations around the world. 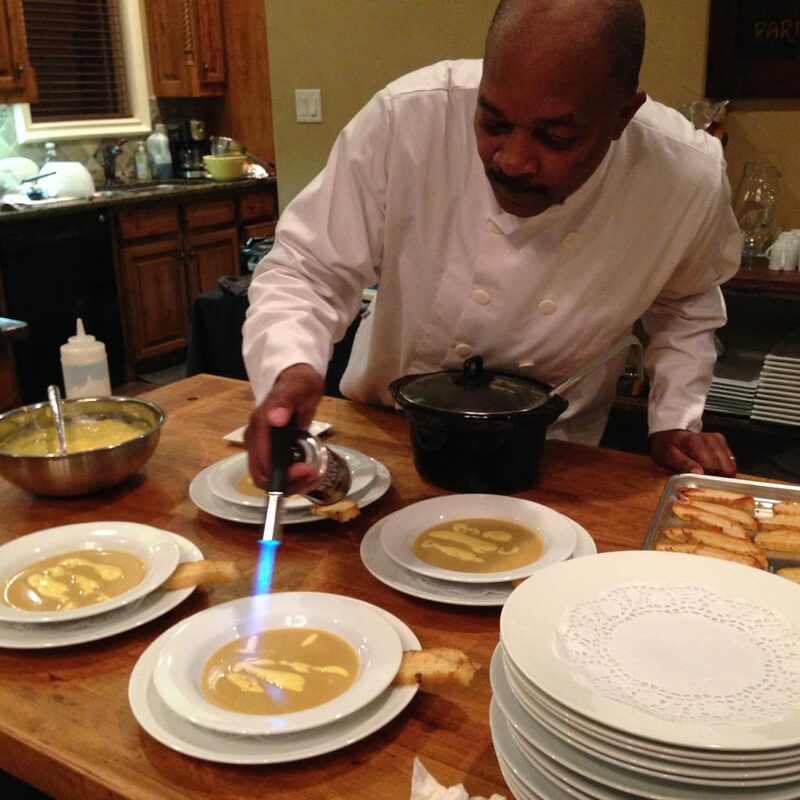 Accommodations during our Adventures include private villas, chateaux, chalets, and stately homes, along with our very own private Le Cordon Bleu-Paris educated chef providing amazing multi-course gourmet cuisine. 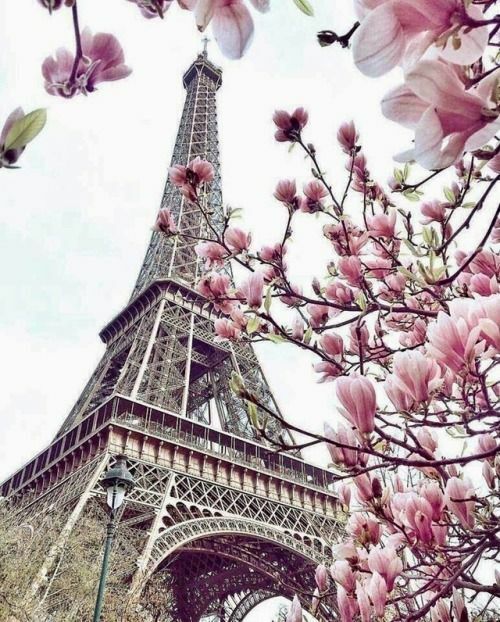 April is the perfect time to see Paris. There is an added excitement in the air as Parisians shed their winter cocoons and step out into the long awaited sunlight. Trees are blooming, flowers blossoming and the spring breeze brings with it the scent of honeysuckle and roses. Kim and Walter Eagleton fell in love with the City of Lights while living there. Every person, every street, every building has a story to tell of the glorious and not so glorious histories of one of the Europe’s oldest cities. On this amazing Adventure you will enjoy living in Paris like a local. Yes, we will visit many of the iconic landmarks in Paris the day tourists visit, but you will have the unique opportunity to relax and absorb 100% more because Artistic Gourmet Adventures is always in the lead! Our accommodations are in a private neighborhood in Paris. No hotels or B&Bs, but a home-like atmosphere in a private residence where you can be pampered, put your feet up at the end of the day, sip a cocktail and discuss the wonders of the city while awaiting your gourmet dinner prepared by Le Cordon Bleu-Paris Alum Chef Walter Eagleton. An amazing fun-filled week of Hands-On cooking in a French Chateau, full of kitchen time, wine discovery, great food and and exciting daily excursions to experience the real Loire Valley! You will leave with recipes (and techniques) you will use to delight your family and friends for years to come. Some of the fun skills covered will be: Proper Cutting Techniques and Knife Use/Sorbet-making/Bread making/Sauces and Jus to accompany your newly-learned creations/Soups/Souffles/Braising meats/Pan-searing/Artistic Plating/Menu-planning. Sunday, June 2 – Saturday, June 8, 2019 Three Rooms Left! Sunday, October 13 – Saturday, October 19, 2019 Two Rooms Left! Come to sunny Italy to the most beautiful coastline in the world! 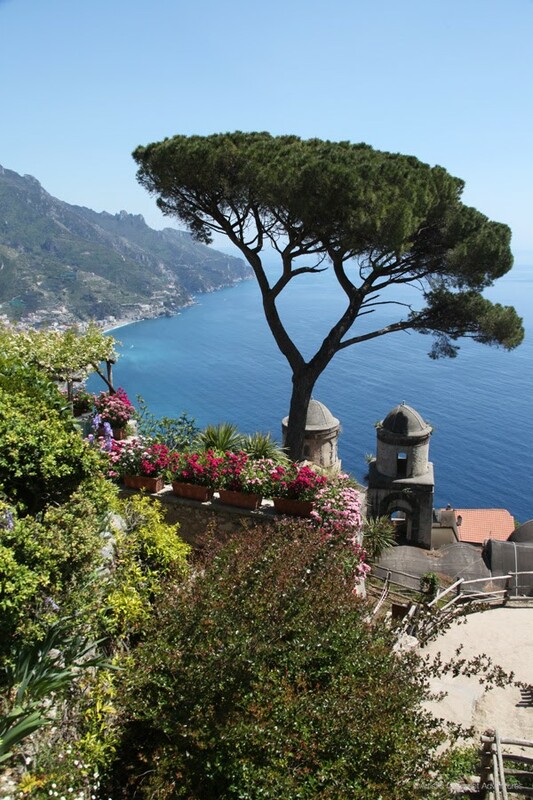 The Amalfi coast of Italy is just minutes away from Naples. Small towns perched on the side of the mountain and trailing down to the electric blue and emerald green sea. The water sparkles with silver and small and large boats sway to the waves of the Tyrrhenian Sea. Your home for the week is a splendid Palazzo Villa up in the hills overlooking the water. Artistic Gourmet Adventures will guide you on this Adventure of a Lifetime in sunny Italy! Join us for a full week of exploring and understanding the Normandy Invasion. Your co-host Dwayne Lee, along with Artistic Gourmet Adventures, will provide a week long Adventure where you will experience for yourself the emotion of standing where the soldiers stood and imagining through your eyes the events that took place. 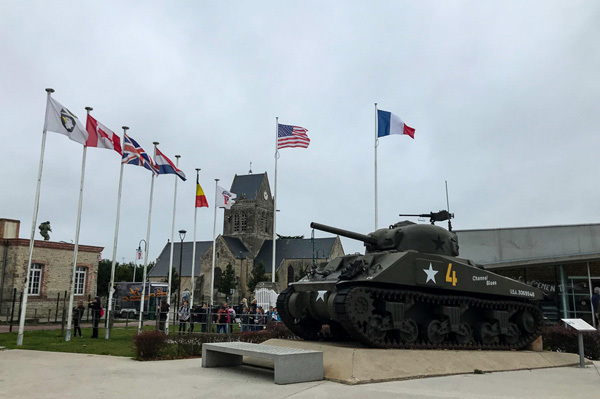 Authentic Normandy accommodations, gourmet meals and daily excursions to the most important sites that remain to remind us today of the price that was paid for our freedom are all included. Pair your amazing Tuscan adventure with a self-care retreat! 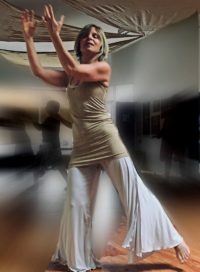 International retreat facilitators Kate Nash (Nia dance instructor) and Gloria Miele, Ph.D., (leadership consultant) will guide your through movement and self-exploration activities that will enhance your creativity, well-being, and self-care. After morning retreat activities and relaxation at a luxurious, 14th Century Villa private villa, we will guide your afternoons exploring the ancient cities and small towns in Tuscany. Taste the foods and wines of the region, sample olive oil and balsamic vinegar, and more. Le Cordon Bleu-Paris educated Chef Walter Eagleton will treat you to classic gourmet meals and favorites of the region. 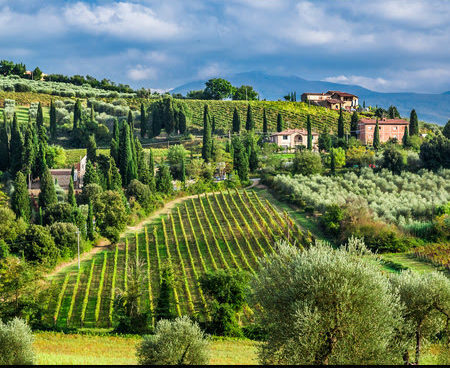 In this amazing Adventure we will leisurely wander the back streets of the ancient cities and small towns in Tuscany, taste the wines of the region, sample olive oil and balsamic vinegar. Le Cordon Bleu-Paris educated Chef Walter Eagleton will treat you to classic gourmet meals and favorites of the region. Our private accommodation for this exciting Adventure is luxurious and full of character. This 14th Century Villa is a magnificent Villa with stately Tuscan architecture and lush green gardens. In our six day-seven night The Passions of Portugal Adventure we will be located in the amazingly beautiful and historic Sintra area just north of Lisbon. This area is within close reach of the beaches of the Atlantic Silver Coast, the incredible history packed town of Sintra, the ‘riviera of Portugal’-Cascais- and of course the picturesque city of Lisbon. We will enjoy first class accommodations, Walter’s gourmet meals-with a Portuguese flair, private daily excursions to the best of the area and discover the wine and Port that makes Portugal unique. This is Jo’s Fourth Watercolor Workshop with Artistic Gourmet Adventures! We are so proud to be partnering with Jo again next year. 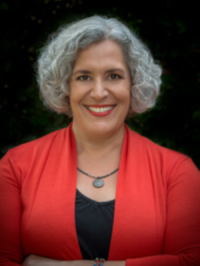 Click here to learn more about Jo. On this Workshop Adventure, you will have 6 days to enjoy the guidance of award winning watercolor artist and instructor Jo Williams. 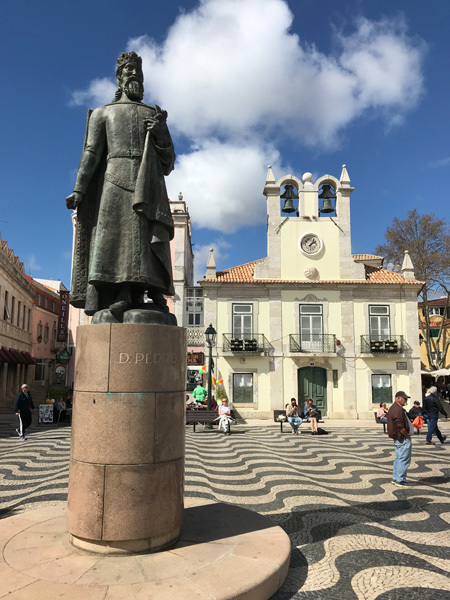 The ‘old world’ Portuguese and Moorish influence on the villages, the lush pine and cedar trees, the rolling hills that lead to the the blue Atlantic Ocean will truly inspire you! Enjoy a private country Villa-a prior 16th century monastic retreat, delicious gourmet dining with a Portuguese flair prepared by your private Le Cordon Bleu-Paris trained Chef and daily excursions by private van to fun and fascinating local destinations. On this Adventure we will roam the Central Highlands of Scotland. We will visit a working woolens mill circa 1784, as well as Johnstons of Elgin Woollen Mill (famous for weaving Burberry Tartan), sample haggis (if you dare), dine on gourmet food and even take in a pub or two! Of course visiting a few castles won’t be difficult. We will visit a few distilleries, enjoy tastings and even see how the barrels are made in the “only cooperage in the UK”. The heather may be in full bloom! Everyone will enjoy Scotland in the Fall. Our Manor House accommodations have been specially chosen for an authentic Scottish Highland week and best of all we are not sharing with anyone else! We’ve taken every type of vacation imaginable, but not one measures up to the Artistic Gourmet Adventure hosted by Walter and Kim Eagleton. Kim, an avid researcher, and her husband, an awesome chef, prepared a perfect blend of exploring the intimate villages of France while weaving in historical perspectives. The villages came alive in a way you could close your eyes and see the past unfolding before you. Their warm hospitable nature provides a comforting yet exciting adventure for the novice and historical buff alike. And the food…trust me, it will tickle your palate throughout the entire experience. I give it a 5 out of 5! Kimberly K. & Stan H.
elegance. We will always appreciate the care and tenderness you put into our Adventure! You made our trip to the Loire Valley a dream vacation!